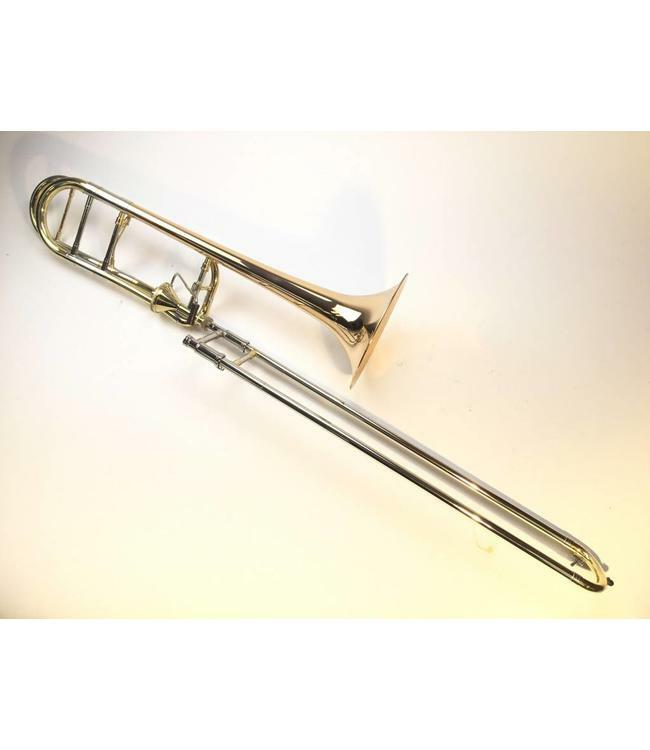 Used T-8505 Princeton LMG Bb/F Tenor Trombone in lacquer. .547" bore light weight slide, open wrap axial flow valve section, 8.5" yellow brass bell flare. Instrument is in demo condition apart from very minor lacquer wear at contact points and very fine scratches towards top of bell. Comes with two extra lead pipes. No case.